Memorial diamonds are created to honor and remember a loved one, family member, friend, or even a special pet. These personalized diamonds are created by taking a small amount of a loved ones cremation ashes, or even a lock of hair, which are then combined along with a genuine, certified diamond. Memorial diamonds can serve as a family keepsake and family heirloom that can be cherished for generations to come. A memorial diamond will contain the essence of your loved one forever, since it serves as a tangible memorial of a loved one, which is then mounted into a setting of cremation jewelry. They can be set into a vast selection of settings in both white and yellow gold. Using the personal carbon of a loved one, the lab diamond creation process mimics the earth’s high pressure, high temperature to create a memorial diamond in 70 days or less, a fraction of the time to create a natural diamond. • While other synthetic diamonds are just simple gems, memorial diamonds are 100% personally hand-crafted. 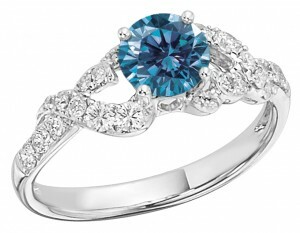 • In addition, these memorial diamonds are professionally certified, verifying they are genuine and authentic diamonds. • These invaluable diamonds also serve as a family heirlooms, and are backed by a lifetime guarantee. 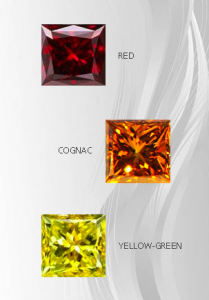 Available in various cuts, sizes and five elegant colors of stunning red, sparkling yellow-green, warm cognac, dazzling blue and striking white, memorial diamonds afford family members one of the most individually unique memorial opportunities available in current times. These memorial diamonds represent a distinctive way to capture the essence of a loved one and allow family members to hold on to their memories by creating a family keepsake that can be passed on for many future generations.